The guest for this interview is Ambassador Alfred Moses, who recently authored Bucharest Diary: Romania’s Journey from Darkness to Light. Ambassador Moses served as U.S. Ambassador to Romania from 1994 to 1997 and as a Special Advisor to President Jimmy Carter. 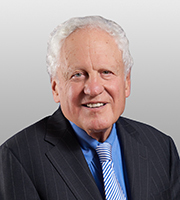 He is a distinguished corporate attorney and leader of the American Jewish community. You can also find it here on the website.